The IP Group (Intelligent Packaging Group Ltd) has been active on the Swedish market since 1995. The company offers pallets, box pallets, pallet containers, plastic bins, plastic buckets and pallet collars in plastic. The largest product groups include aluminium pallets, pallet collars and pallet boxes. 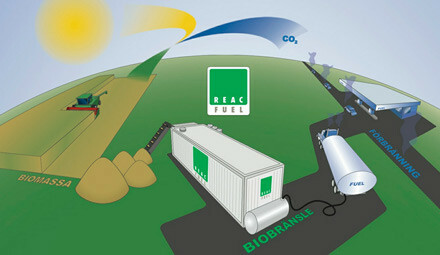 The new patent pending pallet family is aimed at customers with their own closed-loop system. The pallets, which among other things are stackable, are made ​​in Sweden to be able to supply the European market with short lead times and cost-effective transportation. The IP Group has its head office in Halmstad and has 5 employees. The company has annual sales of approximately SEK 15 million (2012). Major customers are in the food and pharmaceutical industries . Pallets are used for transport, storage and handling of various types of goods. They can be used as cargo carriers - often in combination with glue, tape and shrink or stretch film - or as a box in combination with pallet collars. Sweden is a leading country when it comes to the use of the standardized pallet. Standardization has been an important condition for the large use of pallets received. Standards of measurement, quality and workmanship means that pallets are designed for certain management practices, handling equipment and means of transport and that the pallet can be transferred to other users. The EUR pallet is the most common standard pallet for return use in Sweden. In some circumstances, it is advantageous to use other types of pallets than the standardized. Return shipping costs can be prohibitive or the weight and / or dimensions do not fit the standard pallet. Pallets are an important component of most transport of goods. There are probably every second millions of pallets that are on their way to a destination, or are placed in a rack in a warehouse somewhere in the world. Lots of pallets are certainly also piled outside a warehouse or a production building in anticipation of their future destiny. Allowing pallets to be returned should be beneficial from a cost and environmental perspective, but unfortunately, many pallets are lost, stolen, land on the black market, or are simply discarded in a waste container. It is therefore important to keep track of pallets and pallet management is an area that contains both a cost and environmental impact. IP Group pallets provide 40 percent fewer return shipments, 40 percent reduction in carbon dioxide emissions and 100 percent recycling and reuse. Whatever the material the pallet is made of – wood, plastic, cardboard, metal, or other materials – there is a reason for most companies to consider the pallet life cycle cost and its overall environmental, health and safety impacts. Concretely, pallets can fail. Various materials act with different strengths and weaknesses, and in addition to economics and the environment, there are many other factors that come into play when companies and transportation companies select pallets. Hygiene issues and transportation security are some examples of factors that may need to be considered. IP Group has attracted the attention of the transportation industry for their safety pallets and in 2013 the company won the World Star 2013 with its stackable “loop pallet / pallet environment.” The award was presented by the WPO, World Packaging Organization, and Josefson went to Sydney, Australia to retrieve the prize. On the Scanpack fair that year, the company received a ScanStar for the Best Nordic transport solution. What is it that IP Group offers that evokes such attention? “The secret is that our pallets contribute to better economic, environmental and health and safety. We are talking about 40 percent fewer return shipments, 40 percent better stackability, 40 percent reduction in weight, 40 percent carbon reduction and 100 percent recycling and reuse,” explains Josefson. The Swedish-made pallet is made ​​of recycled plastic and compared to traditional wooden pallets is significantly lighter and has a longer life. “Just as the wooden pallet, our environmental pallet has three skids underneath and therefore fits in racks, conveyors and chain conveyors. At this height, 24 pallets can be stacked to get a total height of 254 cm, compared with the wooden pallet which at the same height can fit 17 pallets,” says Josefson. ‘A customer who introduced environmental pallets reduced the number of returns by 250 pieces per year. The customer also reduced the number of pallet storage from 30,000 to 18,000. 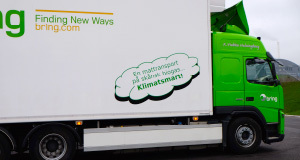 In addition to financial savings of several million kronor per year, emissions of carbon dioxide were diminished by 156 tons per year,” concludes Josefson.